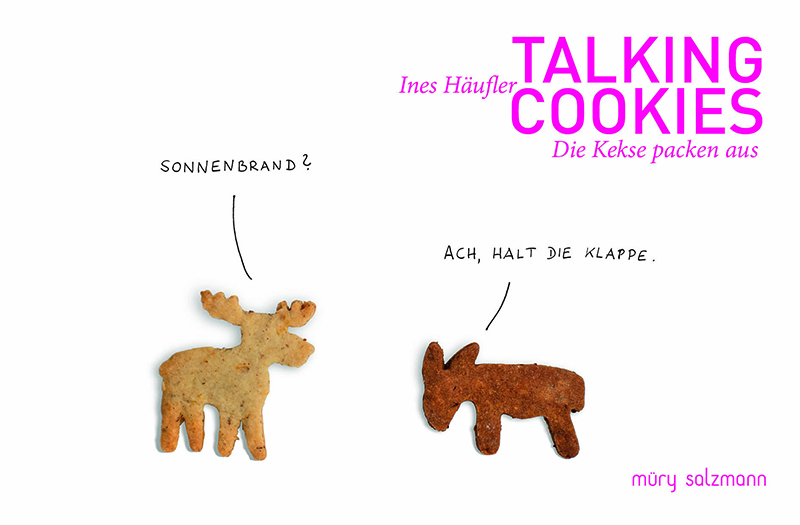 In November 2013 my book „Talking Cookies“ was published by Müry Salzmann Verlag. A deadly bored rocking horse, a reindeer that wants to fly, a donkey with a sunburn, a heart sick of love – the protagonists of this little book are all made of flour, eggs, butter and sugar. They are cookies, but with a twist: they can talk. We experience their stories, everyday problems and conflicts, we dive into the humoristic world of those characters, whose only destiny was to satisfy our sweet tooth – up to now. „Talking Cookies“ is a picture book for grown ups, as a present for yourself, your friends and relatives and a funny add-on for those boring gift cards. 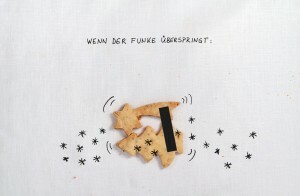 The book is in German, but I have made a version with English subtitles of selected cartoons. 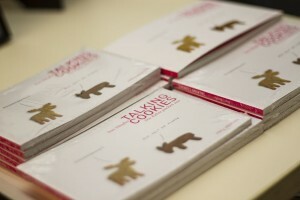 During the weeks before Christmas I will breathe life into my Talking Cookies and present the book in public readings. Please subscribe to the newsletter for updates.